Did you know that almost a quarter of your home’s heat is lost through the windows? That’s right. Of all the different ways through which heat is lost in a home, which includes the walls, the roof, the floor and the doors, your windows are the number one culprit. 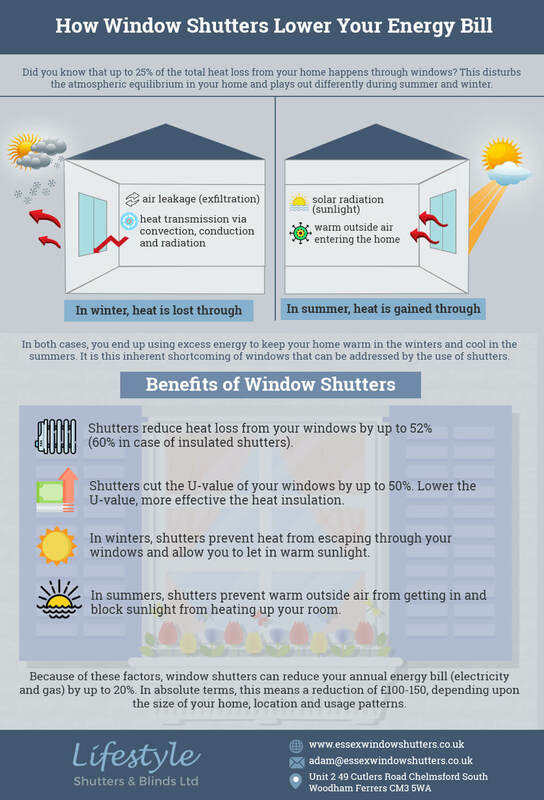 Here we discuss how window shutters, which are considered one of the most energy-efficient window treatments, help your home stay warmer in Winter and cooler in Summer. The benefits of window shutters are multi-fold. In addition to preventing heat from escaping, shutters (especially plantation shutters) also do an excellent job of keeping the heat on the outside from getting into your home. This makes them one of the best window coverings to keep heat out. If you are looking for stylish heat-blocking window treatments for your home, look no further than wooden shutters. 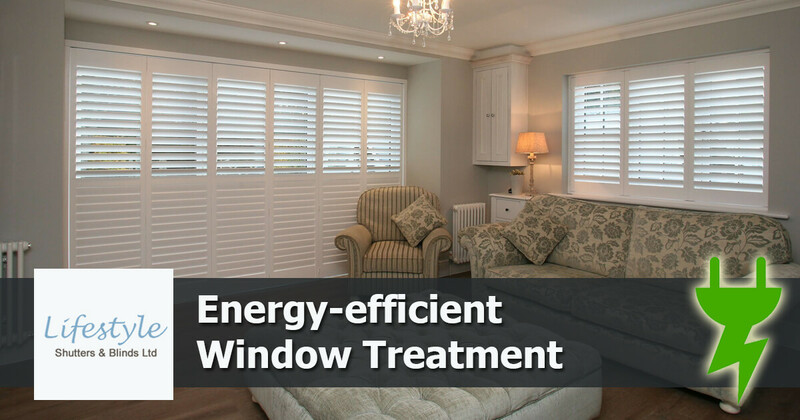 Overall, using energy saving shutters can help you save a fair amount of money on your energy bills. If you’d like to know more about how window shutters can make your home more energy efficient, get in touch with us today. Lifestyle Shutters & Blinds is a leading supplier and installer of window shutters in Essex. We offer a wide range of shutters made from different materials (wood, composites, vinyl) and in a variety of colours and finishes. Call us and receive a ‘Free’ quote for your preferred shutter style today.